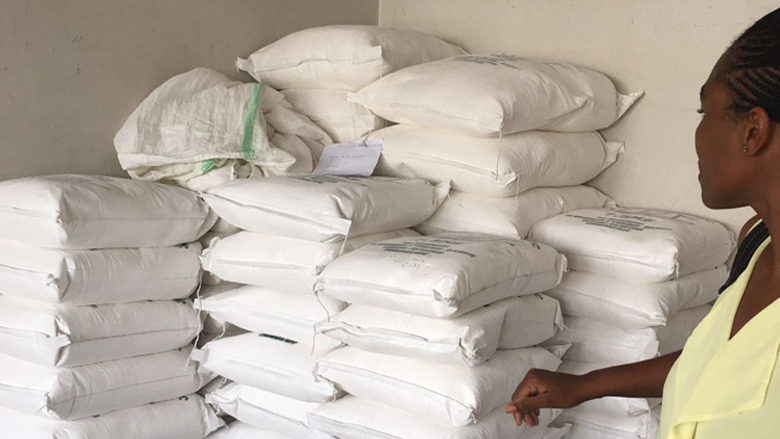 On the other side of the country, in the capital city of Kinshasa, Kany Véronique Mafuta runs a small company that produces flour from the cassava root. Local demand for her product is booming, but she doesn’t have the necessary resources to buy new equipment and expand production. When Kany looked for capital, local banks could only offer her loans with high-interest rates that she could not afford.